if they turn off the blood. is to edit the blood. But, the church is guilty of this whitewashing, too. believing their hands will remain clean. only results in rooms full of corpses, sitting upright but drained and ready for embalming. to pay the blood ransom for our own souls. it reeks of warm, sticky death as the man with the knife slits the belly of another perfect lamb. we forfeit our part in the resurrection. as He loved us even when we were spattered in His warm blood. Covered with blood, He forgave us. Covered by His blood, we stand forgiven. without the bloody mess that came before. it’s what it looks like in the heartbeat of time when we are redeemed. Does all the blood of the gospel make you uncomfortable? May that holy discomfort drive us all to our knees at the foot of the cross where Love bled out and set us free. Thank you for your powerful thoughts, beautifully expressed. As we enter the church on Easter Sunday, concerned that everyone see our new clothes, our special shoes, our spring hats, and hoping the sermon is short so we can celebrate dinner with family and friends, how many will take time to silently pray a thanksgiving, say Thank You, say I love You, accept that our Easter Sunday is the result of the bloody scene you described? Or will we be looking for a warm spring, happy children with Easter candy, and new cothes to represent our Easter. He descended into hell, bruised and bloody, so we could live eternally. 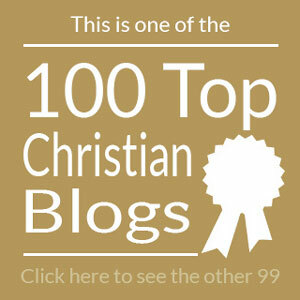 Your blog gives a realistic view of Easter Sunday. Lest we forget Gethsemane! Thank you.